John Bosco Bugingo is a lawyer and IBJ Fellow based in Kigali, Rwanda, where he also fulfills the responsibility of country manager. He is an experienced litigant with a record of legal practice since 2005, during which he has represented cases at all levels of court in Rwanda. John Bosco grew up in Uganda and has looked up to lawyers as symbols of intelligence and wit ever since he was a child. 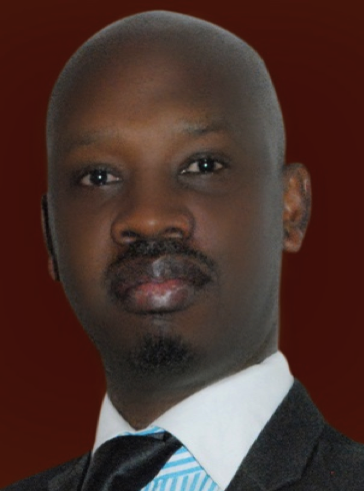 When he left Uganda for Rwanda in 1996, he knew it was time for him to pursue a legal career. He completed his Bachelor of Laws, LLB (Hons) at the National University of Rwanda in 2004, where he obtained his Masters degree (LLM) as well. John Bosco is a member of the Rwandan Kigali Bar Association (KBA), the East African Law Society (EALS), and associate member of the Chartered Institute of Arbitrators (CIArb)-London. As a member and senior consultant of Fountain Advocates, he has developed expertise in human rights and legal defense by providing counsel to vulnerable categories of prisoners. He is the co-founder of the Centre for Judicial Excellence- a rights advocacy Institution which intends to pioneer legal rights advocacy and education across the country. 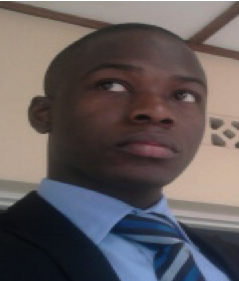 Furthermore, John works as a trainer and guest lecturer at the Institute of Legal Practice and Development (ILPD). John speaks Kinyarwanda, has excellent command of English and a working knowledge of French and Swahili. With his innovative spirit, John Bosco provides the on-the-ground leadership to IBJ’s nascent Rwanda program. Mr. Serwanga Ronald was born, raised and studied from Uganda. He holds a Bachelor of Laws Degree (LLB) from Makerere University (MUK)’s Faculty of Law and a Diploma in Legal Practice (DLP) from the Institute of Legal Practice and Development (ILPD) at Nyanza in Rwanda. He gained experience and inspiration for the legal practice when, as part of his LL.B programme, he worked with SEBALU & LULE, one of the leading law firms and a fellow of DLA Piper Africa Group member firm. He is very familiar with both Ugandan and Rwandan legal systems and his comparative knowledge of both systems becomes an asset to IBJ. As a former prosecutor for over six years, Johnson knows too well how the lack of access to legal counsel impedes the justice system to meet his ideals of fairness, equity and transparency. In 2006, Johnson joined the Kigali Bar Association. He is also a member of the East Africa Law Society. Along with his sound experience both as a prosecutor and lawyer, Johnson brings with him an extended network of contacts within the judicial system, which will help IBJ Rwanda Fellow build a larger movement in favor of the rights of the prisoners across the country. His strength of determination in producing creative solutions when working in a challenging environment will help him, Herbert and John Bosco realize their vision of a legal aid system that ensures universal access to counsel in Rwanda. Johnson holds a Bachelor of Laws (LLB) (Licence) (Hons) from the National University of Rwanda. Estelle is a graduate and post-graduate from the Grenoble Institute of Political Science Studies in France, where her Masters specialty was “Policies and Practices of International Organizations”. She also holds a Bachelor in Law from the University Pierre Mendes France, Grenoble. Estelle completed her Bachelor’s dissertation on the right to a fair trial in Rwanda and Burundi, and her Master’s dissertation on the protection of fundamental human rights within criminal justice systems. Her interest in the overlap between human rights and justice, particularly in how improvements to the justice system strengthen the rule of law, led her to IBJ. She has been working as a program associate fellow specializing in the East Africa region since February 2016. In IBJ’s Geneva office, Estelle worked extensively in a program development capacity, especially in organizing the initiation of IBJ’s Preventing Torture in La Francophonie program. She is now based in Kigali. In her free time, Estelle enjoys synchronized swimming, listening to afrohouse music, travelling, and learning about different cultures. Some of her most memorable experiences encompass the beauty of Norwegian fjords, the wilderness of Senegal’s landscapes, and the vibrant lifestyle of Uganda.